Negotiating the borders of Central and Eastern Europe—with occasional coracle trips or forays to Antarctica for a round of golf—the homesick flaneur surveys the surrounding devastation with the same mixture of fascination and alarm he feels when he discovers that the sweat mark on his T-shirt makes a perfect map of Ireland. All around, he sees natural and man-made catastrophe: the ruins and remnants of war peopled by kidnappers and assassins, feral dogs, death squads, the dispossessed and deracinated. These poems are parables of threat, parties for the end of the world; they speak eloquently of damage, displacement, and the resulting swell of terror. 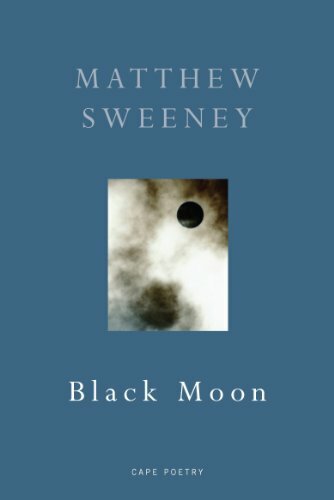 Matthew Sweeney is the author of Selected Poems and Sanctuary and the editor of Beyond Bedlam, Emergency Kit, and the New Faber Book of Children’s Verse.